Welcome to VSL Veterinary Clinic! 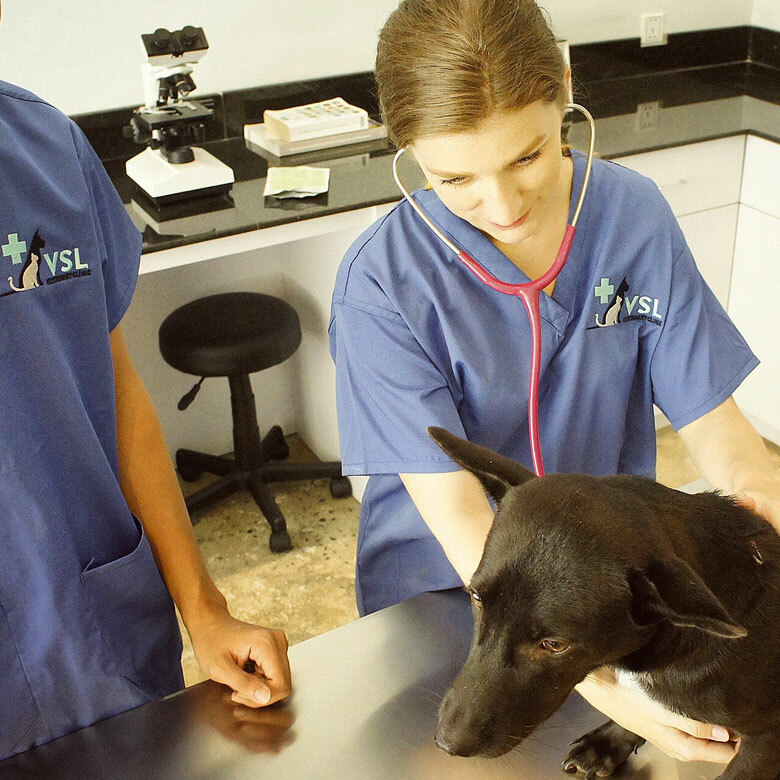 VSL Veterinary Clinic is an International companion animal veterinary practice located in the heart of Boeung Keng Kang 1. 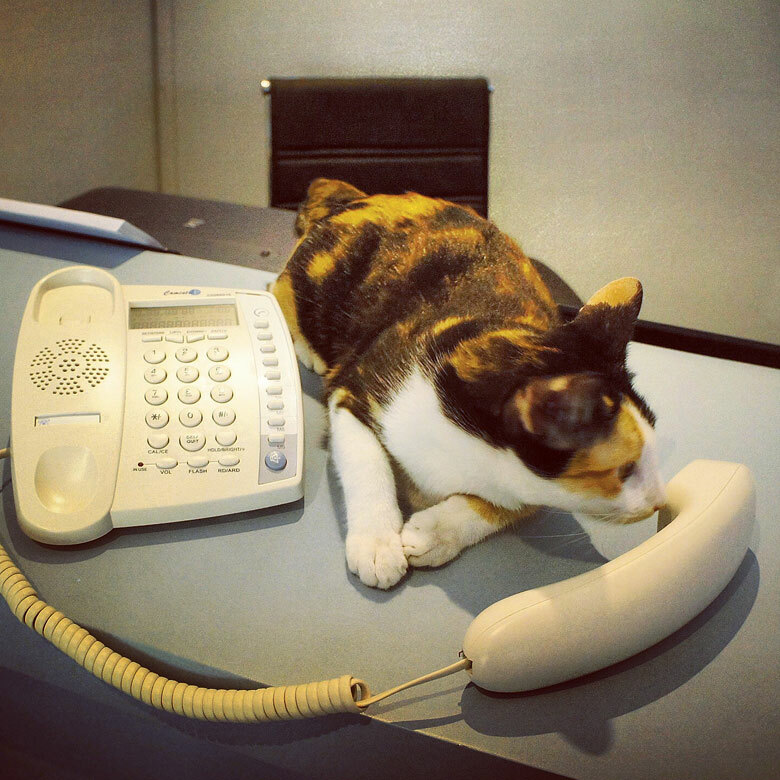 We aim to provide gold standard care & excellent client communication to the pets of Phnom Penh. An excellent Veterinary Clinic and amazing Vets! Every time we have visited them, VSL has been professional, super friendly, and very compassionate with all the animals including us humans! Highly recommend VSL and can’t thank them enough for everything they are doing for the aminals in Cambodia. VSL is very a professional vet with very professional vets. You can tell they really care about animals. I trust them with treating my pets. Great vets, great staff. They are competent, helpful, open minded, caring, and if your pet has trust issues they will take the time to make it feel comfortable. Thank you!! With two elderly cats, I need a vet clinic that promises diagnostic skill and gentle handling, and VSL does all the above. Drs Larissa and Lauren are excellent communicators and compassionate vets. We’re lucky to have them in Phnom Penh! I’m so grateful for the wonderful doctors…!!! Thanks to them, my rabbit got able to enjoy rabbit-hopping now!! I am so grateful to have met Dr Lauren Marsden during my time in Cambodia. She took the time to explain all about the microchip implantation and showed great affection towards my cat. Lauren went above and beyond with helping me when I had problems getting my cat into the UK by contacting different agencies and labs, as well as helping with paperwork. I am so thankful to Dr Lauren and I would highly recommend her to all pet owners. We are so grateful to Dr Lauren to help us having our dog Benjo. Nothing was to much trouble for her in helping making this trip possible. She even came to the house to do the required test as we were short on time and even followed up till late evening… Dr Lauren helped us making our Daughter Anaya’s dream come true to have her dog coming and leave with her. She even followed on later on how Benjo was even if he was far away from Cambodia. A very dedicated Doctor and very caring person. Best veterinary clinic in town! My dogs and cats are always well-treated and I feel very well-counseled. Highly recommended! I cannot say enough about how amazing this clinic is. My go-to vet for my family’s many pets which include bunnies, chickens and dogs. The team is so professional, kind, attentive and efficient. You can expect honest, straight forward answers to any questions and issues regarding your pet. I highly recommend! Simply the best! So understanding and accommodating for my crazy situation! They definitely take the stress out of stressful situation !!! All the staff are so kind! VSL is the best veterinary service we found so far in Cambodia. We happened to have hard times with our cat once he was adopted, and we surely spent a lot of time in VSL! Dr. Lauren is a treasure: professional, fast and responsive; clinic has a good equipment. They even have individual registration card for your animal to see the story of health! Absolutely recommended. My go-to vet for any of my cats issues. Very friendly, sociable and experienced. I didn’t have any good experiences at the other vets in town, so that’s why I stick with them! I can’t recommend Lauren at VSL enough! Not only is she a reliable and skilled vet but she is also incredibly knowledgeable about pet travel procedures, and was such a great support while I tried to get my cat to Turkey. She had links to the right testing labs in Europe and kept an eye on the important details for me. Lauren also genuinely cares about all animals and I know has done pro bono work for a number of animal shelters around Phnom Penh! 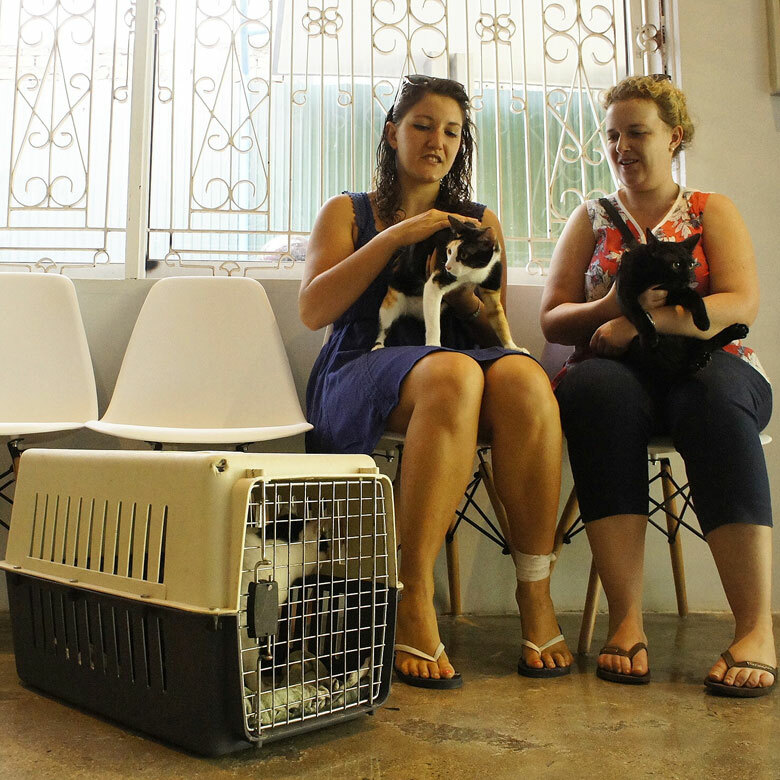 VSL is most likely the best vet clinic in Phnom Penh. The facility is always very clean, the equipment and products are modern and of good quality, and the staff is very knowledgeable, caring and extremely helpful. Thanks for your great service Dr. Lauren!